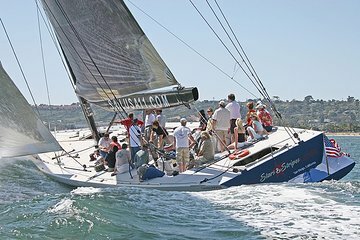 Cruise around San Diego bay aboard an authentic 1992 America’s Cup racing yacht and travel at twice the speed of the average sailboat. The Stars and Stripes USA-11 is one of the fastest and best known America’s Cup racing yachts. It was designed and built to be raced in San Diego, and has been restored to pristine condition. Take a turn at the helm and join in grinding the winches to raise and trim the sails. Outstanding, great value and it doesn't get any better: beautiful boat, beautiful bay, beautiful weather, and a great sail. The crew were exemplary: very professional and willing to share their passion for sailing with no hint of an air of superiority.